When I started working in OnePageCRM I was amazed by the seemly endless number of applications we and our customers dealt with. A lot of the time, I mixed them up and wondered why there were so many similar applications. I have only recently understood why this is, from an unlikely source. The first and most striking insight this book has given me to date is about the architecture of modern SaaS applications. It is hugely important to design everything to be independent modules. I’m sure an experienced SaaS developer takes this for granted, or perhaps can’t even remember thinking any differently! 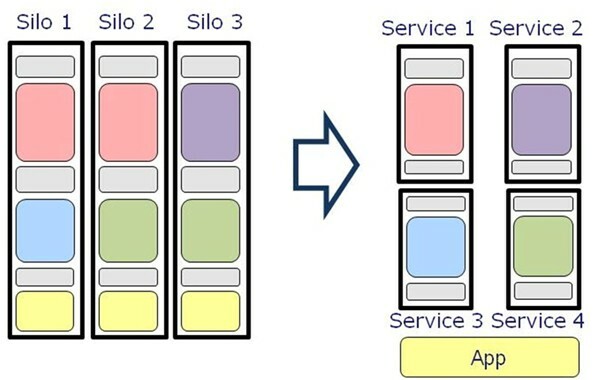 -Given all the inherent advantages of Software Oriented Architecture over more traditional siloed approach. As a developer it is important to understand that each customer often has their own unique requirements. The person who uses your web service will not only use your application but use it along with many others. Each service for a narrow and ever more specific function, within their business. The reason so many applications exist is because they’re are just so many diverse business models in modern society. Each app is important to fulfill its specific role. This question had been bouncing around in my head since I started here at OnePageCRM. It was only when we launched our new add apps page that it all clicked. This clear simple layout shows where each integration slots into the sales process. What is all boils down to is the better our application gels with others the better the user experience. That’s what were all about here at OnePageCRM. For me it is really exciting to know that when this integration goes live, it will make many peoples day to day lives that little bit easier. This is why I work in a SMB. I now understand why so many applications exist and also it spurs me on to get to work on the integration I’ve been tasked with ! Dan is a software engineer at OnePageCRM.